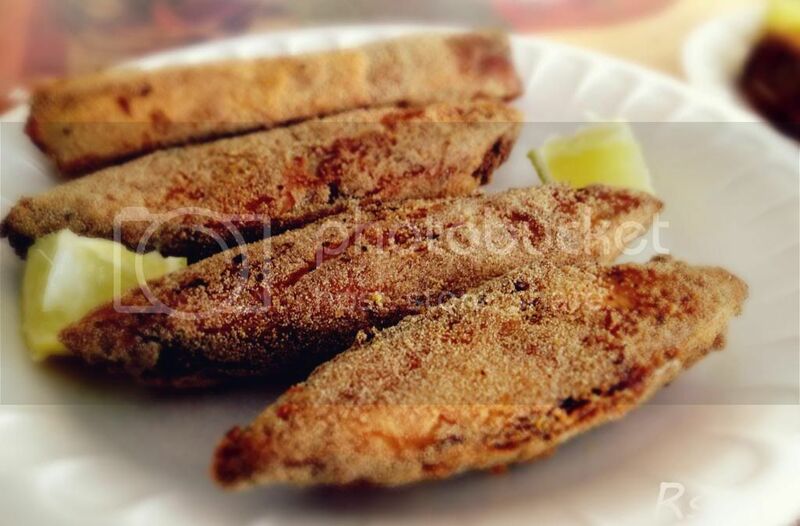 Fish Rava fry is one of the famous food item in coastal city of Mangalore,India, and my favorite too. Take garlic paste,chilli powder, tamarind , turmeric powder and mix it to make a paste (add little water if needed), add salt according to taste. Now apply this paste to the fish, so that whole fish is covered with it, Marinate it for 30 mins - 1hr. Then roll the fish in Rava(semolina)so that there is a coating of it around the fish.